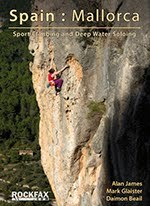 DWSWORLD - PSICOBLOC: Mallorca DWS Update - OUT NOW!! 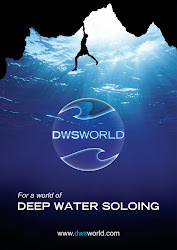 Mallorca DWS Update - OUT NOW!! The new Mallorca DWS update is out now! 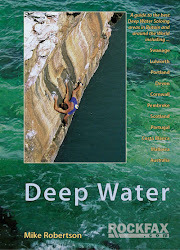 The Deep Water Soloing mecca that is Mallorca is an ever expanding place, and this, the fifth publication on Rockfax that covers deep water soloing on the Balearic Island, clearly demonstrates that. Here we see 64 new lines, 6 attainable open projects, 5 existing lines with enhanced information and 11 reintroduced lines from the west coast. All of which can be found at 12 DWS venues around the island, of which three are entirely new and are appearing here for the first time. Venues include: The Tower of Falcons, Cala Barques, Porto Colom – Lighthouse, Cala Marcal, Cala Sa Nau, Cala Mitjana, Cala Serena, Sa Calobra and introducing Cova Des Burador, Cala Brafia and Cala Estreta. Also returning is the west coast soloing crag at Port De Soller. The information in this update enhances the Mallorca 2011 Rockfax guide and also opens up developing venues which still offer a wealth of development opportunities. 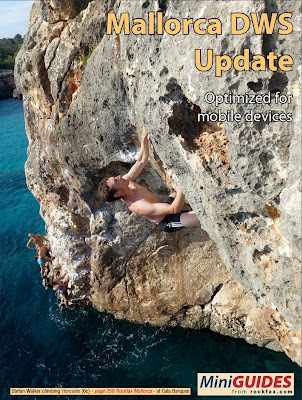 Created specifically for the mobile device and using thousands of photos to create highly detailed images, this guide continues the Rockfax tradition of producing innovative world class climbing guides.